Mirrorless cameras have an advantage of being lighter in weight, more compact in size and can easily capture photos and videos at a faster rate as compared to a professional or an entry-level DSLR. They are called mirrorless because when the light enters into the lens, it gets bounced off a mirror through a specially designed prism and ends up at the viewfinder. When the shutter button is pressed, the mirror flips up and allows the light to hit the actual image sensor on the camera and that’s it, your image is taken. These days, the mirrorless cameras are the top priority of the youngsters who are into the world of vlogging and cinematography at enthusiast or even at professional level. That’s why, we have compiled a list of the best mirrorless which you can grab in the year 2019. Have a look. 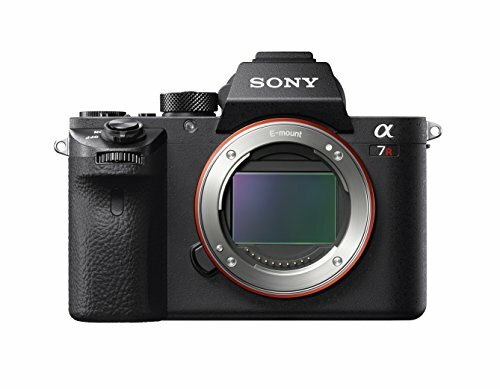 TIME magazine labeled the Sony a7R Mark III as the best mirrorless camera ever made. It was also included in TIME magazine’s list of “Top 10 Gadgets of 2017” which shows how incredible this mirrorless camera is. It boasts an incredible 42 effective megapixels and 44 megapixels in terms of sensor photodetectors. The sensor is a BSI-CMOS sensor which is powered by Sony’s Bionz X image processing engine. It offers an unbelievable amount of focus points to its users. A total of 425 focus points are there into the Sony a7R Mark III allowing the user to get precise with exactly the point they want to shoot, without recomposing at all. The ISO range of this mirrorless camera is 100-32000 and is expandable to 50-102400. The burst shooters who love to shoot fast moving objects would be happy with the 10 frames per second rate of the Sony a7R Mark III. Sony has made this camera with the Sensor-shift Image Stabilization technology which shifts the image sensor inside the camera to compensate for camera shake resulting in an image or video without any shakes or blurs. The videographers would be happy to know about the 4K shooting capabilities of this camera at 30p and 24p with stereo recording through the microphone. The magnesium alloy built of this camera adds a luxurious finish and it measures only 5 x 3.78 x 2.91 inches and weighs a little over 650 grams. There is an electronic viewfinder in the Sony a7R Mark III with a magnification of 0.78x and provides a scene coverage of 100%. The 3 inches wide tilting LCD display is amazing for seeing the resulting images and videos as it contains a total of 1,440,000 dots on it. It is touch-enabled for scrolling through the options easily without having to use the navigation pad. There is Wi-Fi, Bluetooth and NFC for easier and faster connectivity. The NP-FZ100 lithium-ion battery pack is enough to capture a total of 650 shots per charge. Olympus is always one of the most famous company when it comes to building some of the most solid cameras with excellent optics. In 2013, they produced a device which was a game changer for the company in terms of profits. 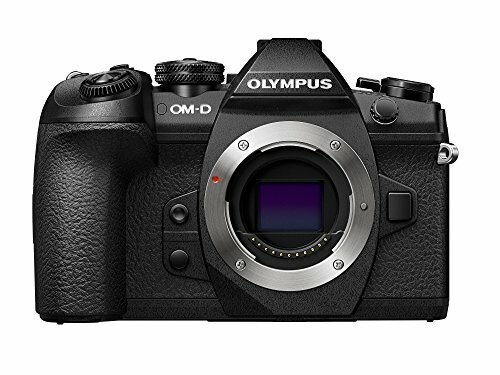 The Olympus’ OM-D E-M1 mirrorless camera offered so much to its users and even in 2019, it is still very much competitive. Now, Olympus has outdone themselves by releasing a predecessor to the Olympus OM-D E-M1, the Olympus OM-D E-M1 Mark II. It boasts a wonderful 20.4 megapixels Micro Four Thirds (17.4 x 13 mm) sensor and is powered by the latest TruePic VIII image processing engine. It would be of a great use for those who want precise details out of their images as it offers a total of 121 focus points. This great amount of focus points allows the user to easily lock the target in a fraction of seconds. The native ISO range of the E-M1 Mark II mirrorless camera is 200-25600 which can further expand down to 64. The most amazing feature of this wonderful Micro Four Thirds camera is the insane amount of continuous drive rate. It allows its users to burst shoot at the rate of 60 frames per second. Combine this ridiculous amount of continuous drive with 121 focus points and an amazing Sensor-Shift type of image stabilization, which according to Olympus is capable of up to 5.5 stops of shake reduction, you’ve got yourself a device which is not easy to beat. The mirrorless camera also performs well in the department of video as the E-M1 Mark II can record videos in Digital Cinema Standard UHD 4K resolution at 24p. All these jaw-dropping features are packed in a body which measures at 5.28 x 3.58 x 2.64 inches and weighs just 574 grams. The body of the camera itself is made using magnesium alloy adding a decent finish to this wonderful mirrorless camera. The body is dust, splash, and freezeproof so that the photographers can test their limits without having to worry about the camera. The electronic viewfinder of the E-M1 Mark II offers a magnification of 1.48x and a 100% scene coverage. The LCD monitor is 3 inches wide with a total of 1,037,000 dots. It is fully articulated and is touch-enabled. There is Wi-Fi and NFC for easier connectivity and for powering up the device, the BLH-1 lithium-ion battery is enough. The Panasonic Lumix DC-GH5 is one of the most versatile interchangeable lens camera ever produced in the mirrorless camera industry. It can handle both photos and videos with the topmost quality and suits users of all levels. Featuring massive 225 focus points, the Panasonic Lumix DC-GH5 allows you to have a precise control over the object you are trying to focus. The cherry on top is the brand-new image sensor and processor which the company labels as “unprecedented”. The claim of the company seems true as well because the result of images and videos produced by the GH5 mirrorless camera is extraordinary. The sensor is powered by the Pansonic’s very own Venus Engine 10 rendering high-precision yet natural images with its Multipixel Luminance Generation and Intelligent Detail Processing features. It boasts an improved 20 megapixels Micro Four Thirds sensor (17.3 x 13 mm) which is better than its predecessor which used to lag behind APS-C and full frame sensor. The native ISO range of the GH5 is 200-25600 (expands to 100-25600) and a continuous drive of 12 frames per second allowing you to easily capture the fast moving objects The Lumix GH5 also features a 5-axis in-body image stabilization system with ‘Dual IS 2’ support. It allows you to have stunning efficiency while shooting handheld with external lenses, even when you are shooting in low-light situations. The most highlighted part of the GH5 mirrorless camera is the video. It is capable of recording the videos in stunning 4K resolution at 60p to 24p. 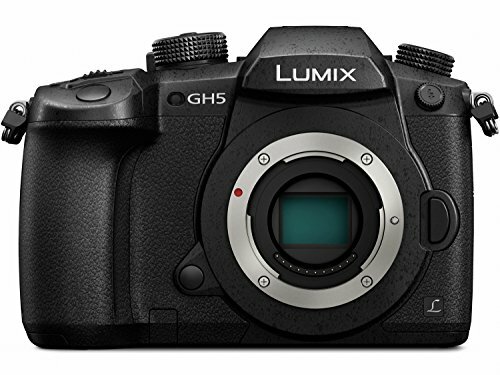 Panasonic calls the GH5 as a “Hybrid Camera” which capable of taking both photos and videos with a cutting-edge result. The GH5 has been crafted using magnesium alloy adding a premium finish to the body. The body is freezeproof and is also sealed against both dust and moisture allowing the user to use the camera in the most challenging environments. It measures at 5.47 x 3.86 x 3.43 inches and weighs a little over 720 grams. The electronic viewfinder is capable of giving a 100% scene coverage with a magnification of 1.52x which is more than its counterparts. The monitor is 3.2 inches wide and contains 1,620,000 dots on it. It is fully articulated and is also touch-enabled. For faster connectivity, users can use built-in Wi-Fi and Bluetooth and the DMW-BLF19 lithium-ion battery pack can take 410 shots after a single full charge. 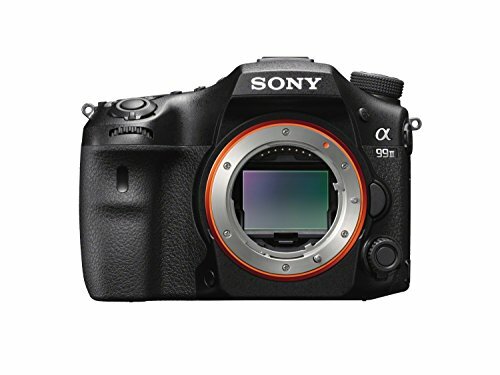 The Sony Alpha A9 is not your regular mirrorless camera with usual specifications. It is engineered with extreme perfection by Sony to go head to head with Nikon and Canon’s flagship professional DSLRs. This high-speed full-frame mirrorless camera can easily beat some of the very best DSLRs presently available in the market. The modern-era of photography is all about capturing the one single shot which stands out from the rest. Focus points help a lot in quickly capturing that “one perfect shot” and the Sony Alpha A9 is ideal in this case as it has a total of 693 focus points. All of these focus points make sure that you never miss any object, even the most distant ones. According to Sony, the Alpha A9 can focus 3 times faster than any other mirrorless camera. A 5-Axis Sensor-Shift image stabilization is like a jewel on top of the focus points reducing any unwanted shakes or blurs which happens while using the device without a tripod or any other external support. 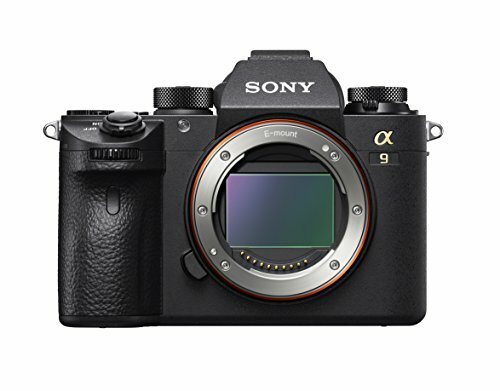 The megapixel count of the Alpha A9 is 24 with a BSI-CMOS sensor, this full-frame (35.6 x 23.8 mm) mirrorless camera is backed by Sony’s Bionz X image processing engine which is responsible for processing the images at a faster rate. It also has a pretty decent burst shooting mode, the users would be happy to know about the continuous drive rate of 20 frames per second allowing them to use the camera while shooting motorsports or wildlife. Sony has not compromised on any part of the camera and therefore, the Alpha A9 can record videos in blistering 4K resolution at 30p to 24p. Sony has designed all these features in a compact and lightweight body which measures at 5 x 3.78 x 2.48 inches and weighs just a little over 673 grams. The mirrorless camera is crafted using magnesium alloy that’s also weather-resistant. There’s an electronic viewfinder offering a magnification of 0.78x and a 100% scene coverage. The LCD monitor is 3 inches wide with a total of 1,440,000 dots. It is tiltable and is also touch-enabled. All three types of wireless connectivity i-e, Bluetooth, Wi-Fi and NFC are built-in for easier connectivity. To power up the device, the NP-FZ100 battery pack is enough as it can give 650 shots before draining up. The Fujifilm GFX 50S is arguably the best mirrorless camera ever produced by this gigantic company. An unusual but impressive thing about the GFC 50S is that it is a mirrorless camera with a medium format size sensor. It is pretty lightweight and compact as compared to the rivals and boasts some of the most exciting options. 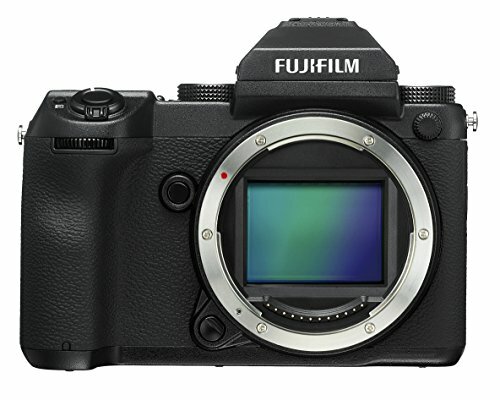 Fujifilm has successfully made a debut with a new system with an all-around lovely camera and the best image quality.It features a megapixels CMOS sensor which has a size of 43.8×32.9mm, 1.7x the size of the sensor in a full-frame DSLR. It is powered by the X Processor Pro image processor which is also made by Fujifilm. A total of 115 focus points for detailed focus make sure that there is no point in the image remains out of focus and you can quickly focus on the object you want. Native ISO range is 100-12800 which could be boosted up to 102400. At its heftier price, the users were expecting many things, but some of the most important features are missing from this device. Speed junkies who love to shoot fast moving objects through the continuous would be disappointed to know that the Fujifilm GFX 50S only offers a rate of 3 frames per second. On the other hand, image stabilization and pop-up flash are also missing from this camera. The camera disappoints again in the video section as it can only shoot the videos in Full-HD 1080p resolution at 29.97p to 23.98p instead of shooting in 4K. The mirrorless camera has a magnesium alloy body adding a premium finish to the camera which looks extremely neat. It is substantially lightweight and compact as compared to its counterparts. It measures at 5.83 x 3.7 x 3.58 inches and weighs 740 grams. The electronic viewfinder is capable of giving a 100% scene coverage with a magnification of 0.85x. The OLED monitor is also a little wider than average measuring at 3.2 inches containing 2,360,000 dots on it for crispier display of images and videos. It is tiltable and is also touch-enabled. There is Wi-Fi or easy connectivity but the NFC and Bluetooth remain missing. The NP-T125 lithium-ion battery is better than average giving you a total of 400 shots before requiring to get charged again. 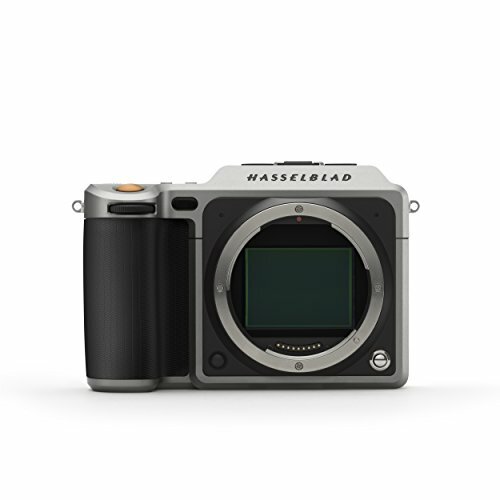 Hasselblad AB is a Swedish manufacturer of medium-format cameras and is famous for the classic medium-format mirrorless cameras it produced since the World War II. With the Hasselblad X1D-50c, the company has aimed to shake up the photographic industry to its very foundations. The X1D is inspired by the classic design of the company’s vintage models, adding a Scandinavian touch to the extraordinary performance. The Hasselblad X1D-50c boasts a 51.4 megapixels (43.8 x 32.9mm) CMOS sensor. A native ISO range of 100-25600 is there. The continuous drive it offers is poor as compared to its counterparts. It can burst shoot at 2.3 frames per second which seems pretty low as the price of this mirrorless camera is quite expensive. Hasselblad has designed special lenses which they call as the “X System Lenses”. The new range of autofocus lenses is specially designed to match the high-resolution capability of the X1D. All the lenses are pretty compact like the camera and deliver jaw-dropping results. The X1D disappoints while recording videos as it can only shoot in Full-HD 1080p resolution at 25p instead of shooting in 4K. There is an electronic viewfinder with high resolution (2359K dots) that provides for rich color and deep blacks with a 100% scene coverage. The rear display is 3 inches wide and contains a total of 921,600 dots on it. It is not tiltable but is touch-enabled. For faster connectivity, it has Wi-Fi and to power up the mirrorless camera, the lithium-ion 7.2v 3200mAh is placed in a small compartment inside the camera. Boasting a 24 megapixels APS-C (23.6 x 15.6 mm) CMOS sensor, which is backed by Fujifilm’s powerful X-Processor Pro2, you can take sharp images with decent colors. It has a total of 325 focus points thanks to which you can capture the brilliant moments in no time while you are on the go. It employs both phase-detection and contrast-detection points. The X-T2 can also easily satisfy the needs of those who want to shoot fast-moving subjects as it burst to shoot at the rate of 14 frames per second. The sector of the video is covered by the mesmerizing 4K resolution at 29.97p to 23.98p. All these specifications are packed into a radical new design manufactured by Fujifilm. It is crafted from magnesium alloy and is also weather-sealed at 63 points to protect the mirrorless camera from dust and moisture. It measures at 5.24 x 3.62 x 1.93 inches and weighs just 507 grams. The electronic viewfinder has a magnification of 0.77x and a 100% scene coverage. The LCD monitor is also pretty sharp measuring at 3 inches and contains a total of 1,040,000. It is tiltable but is not touch-enabled which is kind of a bummer considering the heftier price of the camera. Wi-Fi is built-in for easier connectivity and an NP-W126S lithium-ion battery can give you 340 shots with a single charge. The Sony SLT a99 II is another brilliant mirrorless camera by Sony which is labeled by camera experts as a “low-light monster” due to its brilliant performance in low-light conditions. It boasts a 42MP BSI CMOS Imaging sensor powered by the Bionz X image processing engine. It has a Hybrid Phase Detection AF System that combines a 79-point dedicated AF sensor with a 399-point on-chip focus system for fast, accurate focusing in all types of conditions. The native ISO range of the Sony a99 II is 100-25600 (expandable to 50-102400). The mirrorless camera is designed to give its users a burst rate of 12 frames per second to capture the fast-moving action. Another huge advantage of the a99 II is a 5-axis SteadyShot INSIDE stabilization system which is able to compensate for about 4.5 stops of shutter speed for sharper images. When you shoot video, the camera impresses you as it is capable of recording videos in 4K resolution at 30p to 24p. The weather-sealed body of the mirrorless camera is made using magnesium alloy and measures at 5.63 x 4.09 x 2.99 inches while weighing a little over 849 grams. The electronic viewfinder has a magnification of 0.78x and provides a scene coverage of 100%. The 3 inches wide tilting LCD display is amazing for seeing the resulting images and videos as it contains a total of 1,228,8000 dots on it. It is not touch-enabled but is tiltable for taking images in crowded or awkward situations. It has Wi-Fi and NFC built-in for easy connections and to power up the camera, NP-FM500H lithium-ion battery is there making sure you can take more than 500 photos with a single charge. 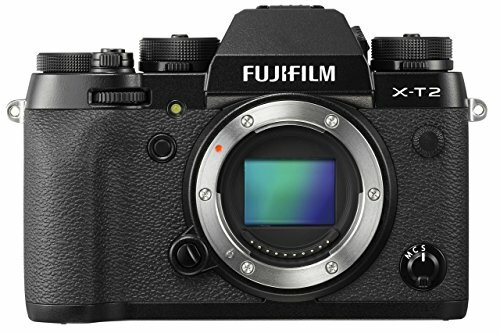 The Fujifilm X-Pro2 is a vintage-looking mirrorless camera which has many things to offer to its users. It is based on a 24 megapixels APS-C (23.6 x 15.6 mm) CMOS sensor and is powered by the X Processor Pro image processing engine. It offers a total of 273 focus points and a native ISO range of 200-12800 (expandable to 100-51200). A decent continuous drive of 8 frames per second makes the X-Pro2 a strong contender its respective users i-e, the burst shooters. In the video, the X-Pro2 can unfortunately not record the videos in 4K resolution but instead, it uses the Full-HD 1080p resolution at 60p to 24p. 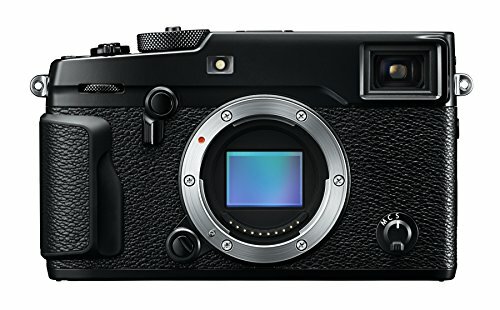 The best thing about the Fujifilm X-Pro2 is the Hybrid viewfinder which lets you switch between an electronic and optical viewfinder with the flick of a lever. The optical viewfinder comes pretty handily while using the camera under bright light allowing you to see what’s outside the frame before composing. The X-Pro2 resembles the typical cameras of the 1960s with similar control points and design accents. It is, however, has more durable construction is weather sealed as well. It measures at 5.55 x 3.27 x 2.2 inches and weighs exactly at 495 grams. The LCD monitor is 3 inches wide and has 1,620,000 dots on it. It is, however, non-articulated and non-touch enabled. Wi-Fi is built into the mirrorless camera and NP-W126 lithium-ion battery can take 350 shots with a single charge. 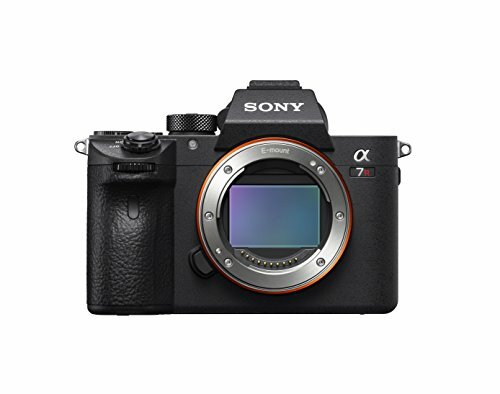 We started the list with Sony a7R Mark III, now we are ending this list with its predecessor, the Sony a7R II which is also an amazing camera. It is based around a 42 megapixels Full frame (35.9 x 24 mm) BSI-CMOS sensor and is powered by the Bionz X image processor. It has a Hybrid focusing system meaning that it is an autofocus system that combines the traditional Contrast detection AF with Phase detection AF. The total Focus points it offers are 399 paired with a 5-axis image stabilization. The native ISO range is 100-25600 (expands to 50-102400) and the continuous drive rate is 5 frames per second. The a7R II can record videos in 4K resolution at 30p to 24p. The mirrorless camera is built using magnesium alloy and measures at 5 x 3.78 x 2.36 inches while weighing just 625 grams. The electronic viewfinder has a coverage of 100% and a magnification of 0.78x. The LCD monitor is 3 inches wide with 1,228,800 dots. It is tintable but is not touch-enabled. Wi-Fi and NFC are built-in and the power is provided by the NP-FW50 lithium-ion battery pack with which you can take around 300 images. Technically speaking, the mirrorless cameras are like hybrid cameras which comes in-between a DSLR and a point-and-shoot camera. Mirrorless cameras are a relatively new breed of cameras and they were designed to offer the compactness of a point-and-shoot and the impressive image quality and interchangeable lenses of DSLRs. They are called “mirrorless” because they do not have a mirror found in the traditional DSLR cameras. This allows the camera to be designed in a smaller fashion while still having a large image sensor. Although, these mirrorless cameras have been around since 2008. But they gain popularity in the recent time’s thanks to the latest models which are at par with the traditional DSLR cameras or high-end point and shoot cameras. Before buying a mirrorless camera, you should consider the different features which they offer. Mirrorless cameras have different kinds of features which can be pretty advantageous for beginners and professional photographers to capture high-quality pictures and videos. Following are some of the most prominent features of the mirrorless cameras that can prove helpful to photographers. The image quality offered by the mirrorless cameras is tremendous and is similar to the quality offered by the DSLRs. The mirrorless cameras have larger sensors due to which the images have less noise. The large sensor size combined with higher ISO rate results in detailed images with larger sized pixels and enhanced light collection in the images and videos. Even in low-light conditions, the mirrorless cameras perform in a subtle fashion. ISO ranges and the megapixel count along with sensor sizes should be thoroughly considered before making a purchase. There was a time when only DSLRs were capable of working with a variety of lenses but now, you can attach lenses to your mirrorless cameras as well. Both the mirrorless cameras and their interchangeable lenses are smaller and lighter. The photographers can easily carry a plethora of lenses while traveling. Mirrorless cameras can also make use of adaptors to use with manual focus lenses such as Zeiss and Leica lenses as well as the lenses from their older SLR cameras. The variety of lenses and their uses should be considered before buying your favorite mirrorless camera. Autofocus is the most important function of a mirrorless camera. The autofocus system is responsible for accurately tracking any moving object. The focus points allow the user to get precise with exactly the point they want to shoot, without recomposing at all. The maniacal focusing system is also very useful especially for those shooters who want to shoot macro or landscape type of photography. Majority of the mirrorless cameras use contrast-detection autofocus instead of phase-detection autofocus which is more common in DSLRs. In contrast-based autofocusing, the sensor reads the contrast and when the contrast is maximum, the focus is perfectly accurate. The focus points help the sensor to reads the contrast as quickly as possible. Nowadays, some of the high-end mirrorless cameras equipped with hybrid autofocusing system meaning that they are capable of both contrast-detection autofocus and phase-detection autofocus. They also allow you to use full-time “Live View” in which the camera provides the facility to zoom on a certain part of the object on an LCD or OLED monitor for close inspection of the image. The autofocus performance of each mirrorless camera should be understood before opting for any mirrorless device.